A woman in her 90's was targeted as part of the fraud. 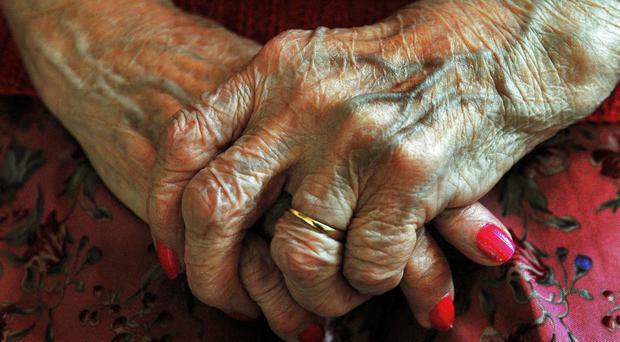 Police in Newry have arrested two men, aged 15 and 51, who allegedly targeted elderly pensioners in a roofing scam. The PSNI had asked the public for assistance on social media after reports of cold calling at homes in the Shandon Park area of the city. "The suspects claimed they had completed more work than they had done in one case and charged extra. Following a PSNI social media appeal, police received information which resulted in the arrest of the two males, aged 15 and 51. They were both arrested on suspicion of fraud-related offences and they both remain in custody at this time. "I want to thank the public for their help, and I would encourage anyone who has information which may assist our investigation to get in touch with police in Ardmore on the non emergency number 101, quoting reference number 335 of 17/07/18," Sergeant Kenny Gracey said. Sergeant Gracey urged members of the public to keep their guard up when dealing with cold callers. “I would ask members of the public to bear in mind the following advice when dealing with unexpected visitors. We want to keep everyone safe in our community and I would appeal to householders to be aware of cold callers coming to your door and to always request identification and not to be afraid to do this as legitimate callers will not be offended and should have identification on display or available," he said. “Remember that it is your home, so it is okay not to open the door if you have any concerns. You could also speak to the person through the door or window, without actually opening the door to them. Not all cold callers are rogue traders, but some are. “Report any activity that raises your suspicions to police immediately. This is a good way to alert us so we can investigate - and will help deter criminals and reduce crime in your area. Call us on the non-emergency number 101."